OTTAWA -- Investigations into whether gun licences should be revoked due to violent incidents or mental illness have faced "significant delays" that could endanger public safety, says an internal RCMP review. "Information which needs to be requested from third parties may experience delays, thereby delaying the conduct of eligibility investigations," says the report. "This increases the potential risk to public safety." The audit results come as the Liberal government studies options -- including a possible ban on handguns and assault weapons -- to deal with growing firearm-related violence. The RCMP is responsible for the Canadian Firearms Program, which works with provinces and territories through the offices of chief firearms officers to manage firearms licensing. 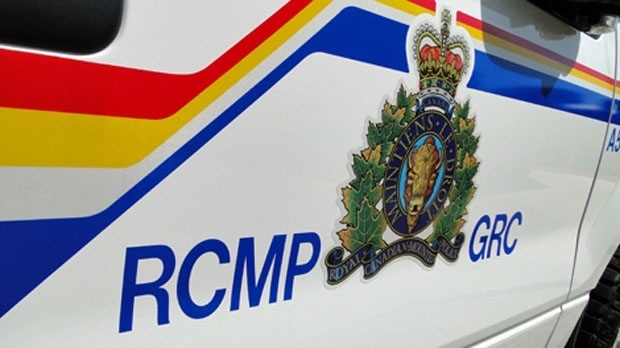 The audit examined activities in British Columbia, Alberta, Manitoba, Saskatchewan, Newfoundland and Labrador, Yukon, Northwest Territories and Nunavut, whose chief firearms officers are RCMP employees. Under federal law, firearms officers can refuse an application for a licence or revoke one based on a person's potential risk to public safety. In 2016, 771 licence applications were refused and 2,223 licences revoked for various public safety reasons under a "continuous eligibility" screening process. Officials look at whether a person has been convicted of certain Criminal Code offences, has undergone treatment for mental illness, has a history of violent behaviour or faces a prohibition order against owning a firearm. Overall, the audit found the efforts to keep guns out of the wrong hands were compliant with legislation and policies. But it also noted room for improvement in getting crucial information more promptly, prioritizing work and improving training. The audit found that despite efforts to prioritize file processing, there were sizable backlogs in evaluating new applications of concern as well as reviews of existing licences prompted by violent incidents. "These backlogs have created delays in addressing eligibility issues, with the greater risk being unaddressed eligibility concerns related to current licence holders who have access to firearms." In the office responsible for B.C. and Yukon, as of July 2017 there was a backlog of 2,930 applications with eligibility flags that had yet to be worked on. There were also 2,092 files of existing licensees awaiting review due to incidents involving violence or mental health. In the office for Alberta and Northwest Territories, as of June 2017, there was a backlog of 1,713 licence applications with eligibility concerns and another 3,188 cases needing review because of incidents. The auditors looked in detail at 66 files opened under the continuous eligibility process, arising from incidents of concern involving gun licence holders. In general, the firearms program was notified of an event involving violence or mental health within an average of two days, and the program in turn adivsed firearms offices of the occurrences in a timely fashion. However, there were "significant delays in both inititiating investigations and in the duration of eligibility investigations themselves." For the 27 files in the sample that were still under review, an average of 331 days had passed since the incident in question. The RCMP had no immediate comment on the audit findings. But a management response included in the report says the firearms program agrees with the findings and recommendations of the auditors. The program is taking various steps to increase its access to information and better manage workloads. A federal bill currently before the Senate would expand the scope of background checks on those who want to acquire a gun. Instead of just the five years immediately preceding a licence application, personal history questions would cover a person's entire lifetime.